The population of Chesterton just grew by one. Crimson Matthews, so fresh from the joint you can still see the cuff marks, just dropped his hitch-hiking boots onto Main Street. His car bomb temper has left a trail of shattered windows and broken jaws but Crimson is ready for a fresh start… perhaps wishful thinking considering his weakness for women in trouble. Chesterton, however, could be a challenge. A ghost of a town since the mine shut down, Chesterton takes care of its own, and Crimson, with his glare and web of tattoos, is definitely an outsider. Then, Father John, guardian of the town’s hopes, who owns a dilapidated property on Penance Lane, extends a kindly hand and offers Crimson the job as handyman. Crimson eyes the once-beautiful estate and realizes this is a second chance for the both of them. 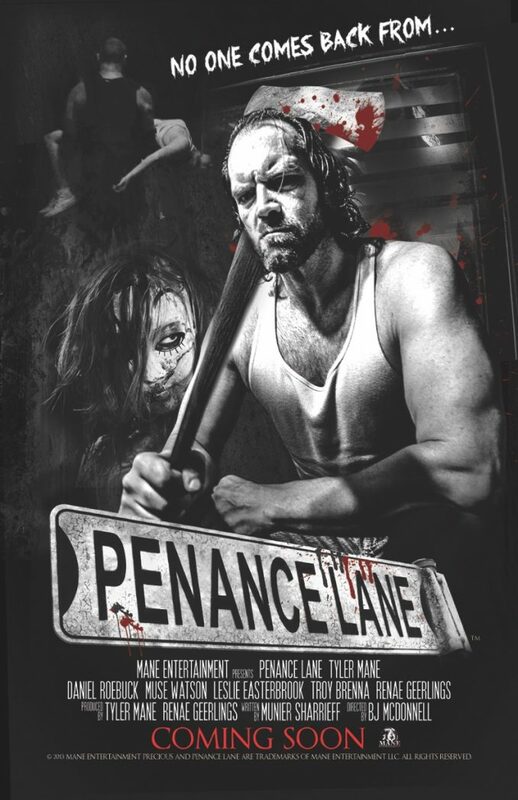 But when Crimson uncovers something hidden and long-buried within the walls of Penance Lane he unleashes a world of dark secrets and violent intent. With the threat of being dragged into its hellish depths, will Crimson finally learn when to walk away? Or will he drag the town of Chesterton into this nightmare prison greater than anything he’s ever known or even imagined?